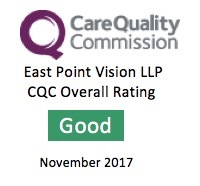 East Point Vision provides specialist consultation, treatment, and surgery for a range of ophthalmic conditions including the major causes of blindness. Our aim is to provide you with the very best care, focused on your own unique needs and at a time that suits you. No waiting lists, no trainees. Services are provided to those aged 18 and above.